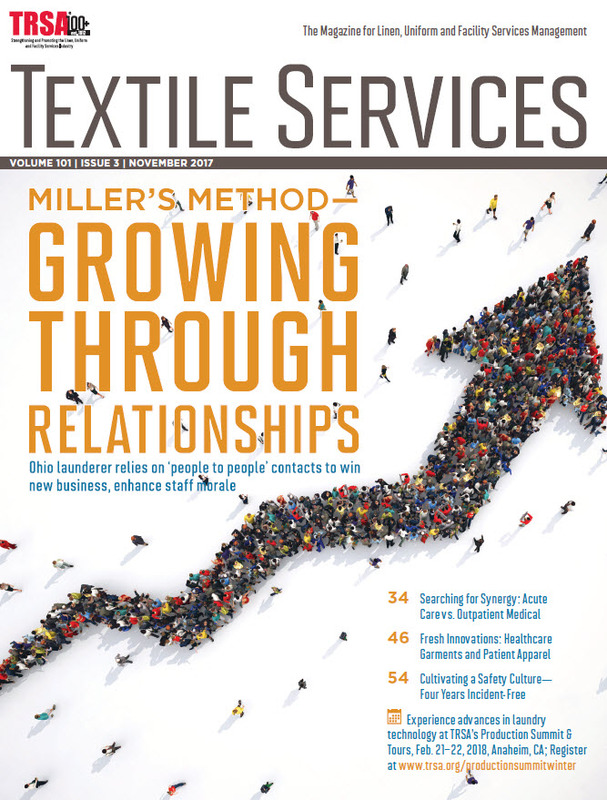 When linen, uniform and facility services industry professionals are looking for industry trends, news, best practices and information about the latest products and services, they turn to TRSA’s award-winning Textile Services magazine. This comprehensive monthly resource features articles and analyses on every aspect of your operations, including the latest on market trends, tech developments, plant profiles, regulatory initiatives, human resource strategies and more. This subscription is free; you can cancel at any time. To subscribe, click “Yes” on the confirmation button below. Then fill in your name, address and company information, and we’ll start sending you complimentary copies of Textile Services each month. This offer is available for a limited time only. Act now, so you don’t miss an issue! YES - I wish to receive/continue to receive Textile Services Magazine. NO - I do not wish to receive Textile Services Magazine. Note: Print edition is available for free in the US and Canada only. Individuals outside the US and Canada will receive a digital subscription.